Yoga is a physical, mental, and spiritual discipline, originating in ancient India, whose goal is the attainment of a state of perfect spiritual insight and tranquillity. It isn’t for the faint hearted and you can expect to push yourself as much as you feel is right for you. Corinne, your teacher is Yoga Alliance qualified and has been practising yoga for over 20 years. We offer morning classes Monday, Wednesday and Friday at Corinne’s small and friendly yoga studio in Foix with a maximum class size of 10. Classes offer a mixture of styles, based around hatha vinyasa and yin yoga. For groups other times can be requested. 15 euros/session/person including transport. Booking in advance is essential. Session length 1.5hrs. Classes available in French and English. 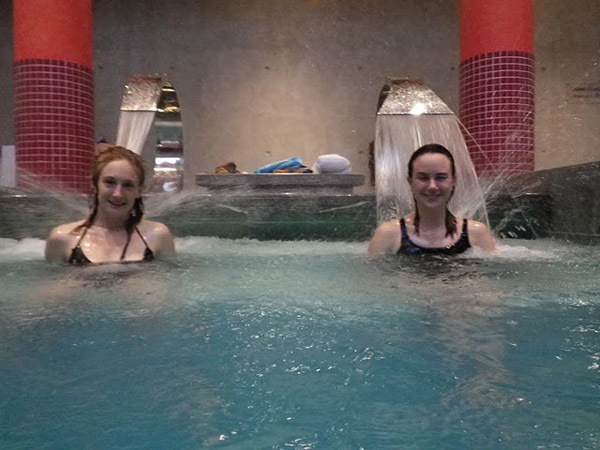 Why not treat yourself in the new thermal spa at Ax les Thermes http://www.bains-couloubret.com which has top marks from our guests - and us! It costs 16 € for 2 hours. This is 20 minutes from Chez Arran and has indoor and outdoor pools and a wide variety of jets, jacuzzi, sauna and massage is available. The perfect way to relax after a mountain walk or ski. 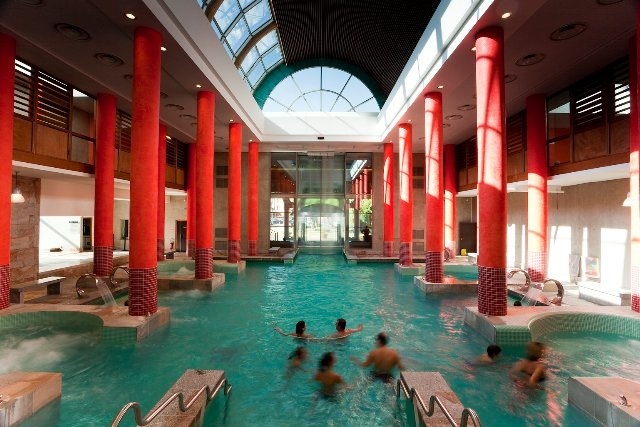 Ussat les Bains Spa is more treatment rather than leisure focused. You may wish to stay with us while undergoing a treatment as it is just 10 minutes walk from Chez Arran. We offer special 3 week deals. There is also aqua aerobics available and morning coffee/breakfast available there. 20 minutes away is the Buddha Lounge Spa - an atmospheric place with more of a spiritual than sporty feel with bar and massage available. There is also a gym available for use and sauna. Booking in advance is necessary and gathering together a group is recommended due to pricing strategy - aimed at the more exclusive market.